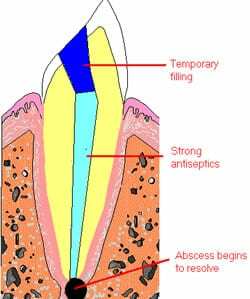 You are here: Home / Patient Information / Root Treatment / What is involved in Root Canal Treatment? Well, from the patients point of view. R.C.T. is relatively easy. There is little drilling involved and the treatment is usually pain free. Root treatments are usually done over two visits although one prolonged visit may be enough. The difficulty involved depends on the complexity of the canal system; in general these are more complex towards the back of the mouth. The tooth is frozen up and then the canals are washed, cleaned, filed, shaped and dried, using a number of precision instruments and files. Strong antiseptics are applied to kill any bacteria that may survive the cleaning process. Once all this is completed, the whole canal system is fully sealed, normally using a type of rubber. X-rays are taken at a number of stages to ensure that the filler reaches the apex of the root. 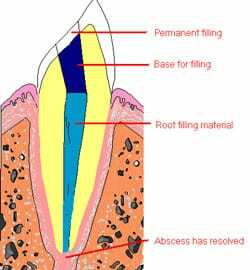 Once the root filling is complete, the tooth can then be restored to its former glory. 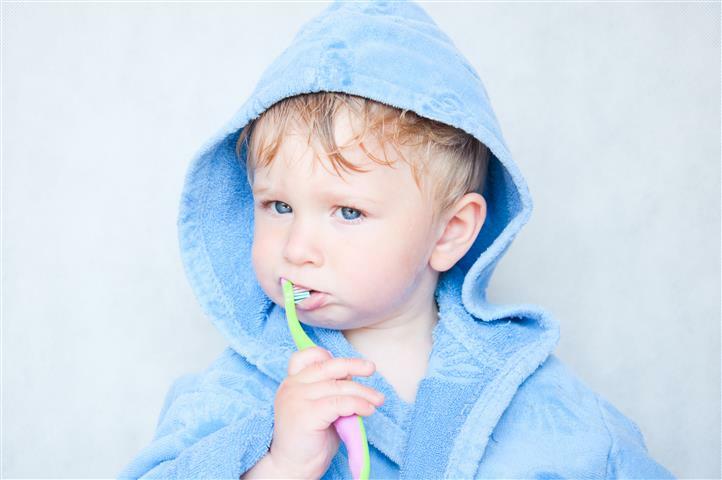 Sometimes a crown is needed to help strengthen a weakened tooth. The type of restoration necessary for the tooth needs to be assessed by your dentist. Following the assessment you will be advised of the most appropriate restoration for your tooth. 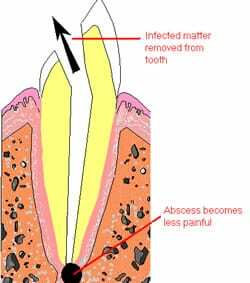 This is a very simplified account of root canal treatment. In effect what we are doing is treating the source of the infection and then relying on the body’s defenses to kill the bacteria and resolve the infection. Because of this root treatments cannot be guaranteed, but if they are given time and done correctly then a success rate approaching 100% may be achieved.